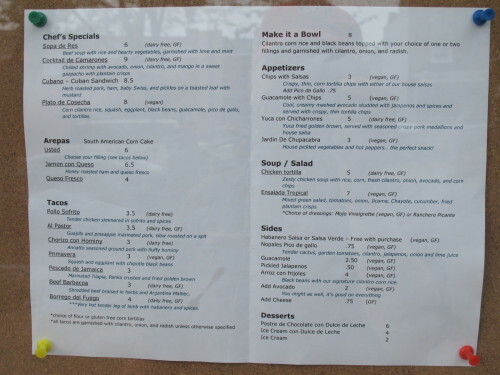 Last week we noticed lost of progress at Chupacabra coming to 9th and H Street, NE. They’ve now opened. And while the space inside is very small there will soon be a significant outdoor dining area that will stretch towards Stan’s clothing. 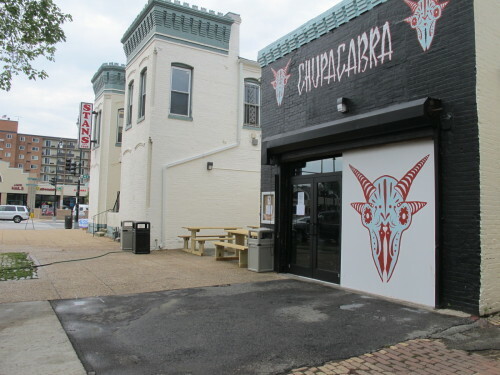 The mythical, elusive, and fearsome Chupacabra has been sighted and confirmed at 822 H Street NE Washington DC. 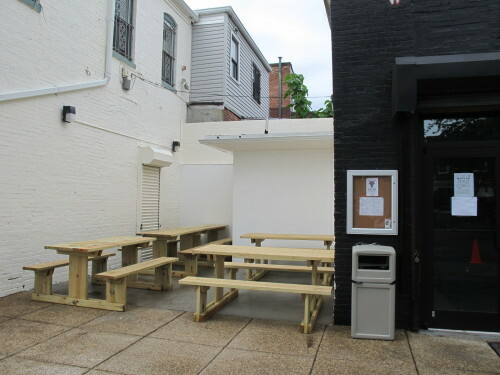 The food truck has retired its wheels and settled down at the corner of H and 9th Streets, with outdoor seating and an expanded menu. From the owners of Sticky Rice, Dangerously Delicious Pies, Rock and Roll Hotel, Café Roma, and The Queen Vic, comes Chupacabra: a Latin Kitchen and Taqueria. Chupacabra will offer a variety of fresh and exotic dishes, with ingredients carefully chosen to accentuate the kitchen’s homestyle cooking. Flavors will take you to the beautiful beaches of the Caribbean, South American mountain tops, and the best of Mexico. Whether you’re vegan, dairy-free, gluten-free, or strictly a meat eater, our kitchen will delight and satisfy. 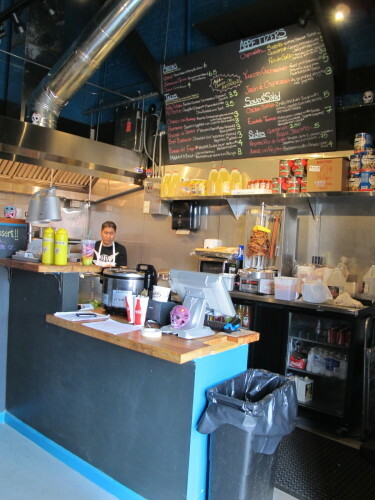 From cool, creamy guacamole, served with thin crispy chips and house-made habanero and tomatillo salsas, to golden brown fried Yuca served with chicharrones, chicken and beef soups, and salads made fresh every day, Chupacabra offers something for everyone. Choose from the delicious selection of fillings for your flour or corn taco, or have the fillings served over rice, a salad, or in a handmade arepa. Try the signature Al Pastor filling, pork marinated in guajillo and pineapple and slow roasted on a spit, or the Pollo Sofrito, tender chicken simmered in sofrito and spices. Vegans will love our savory Primavera, delicious squash and eggplant with black beans. Spicy food lovers, there’s plenty for you too: Borrego del Fuego, tender lamb braised in habaneros and spices, and Beef Barbacoa, a spicy Chorizo with hominy will have you sweating in a good way. Chef’s specials include an authentic Cubano (Cuban sandwich) made with herb-roasted pork, ham, baby swiss and pickles stacked and pressed between toasted Cuban bread. The Cocktail de Camarones — chilled shrimp with avocado, mango, onion, and cilantro in a sweet gazpacho sauce — is perfect on a hot day. Executive Chef Matt DiGangi plans to expand the fillings we offer after we open, and learn more about what you love. And don’t forget to save room for dessert: we offer fresh baked brownies with dulce de leche; fried plantains with organic agave and sliced almond; and Latin-inspired ice creams. Get your Latin fix on for lunch, dinner, or late night. 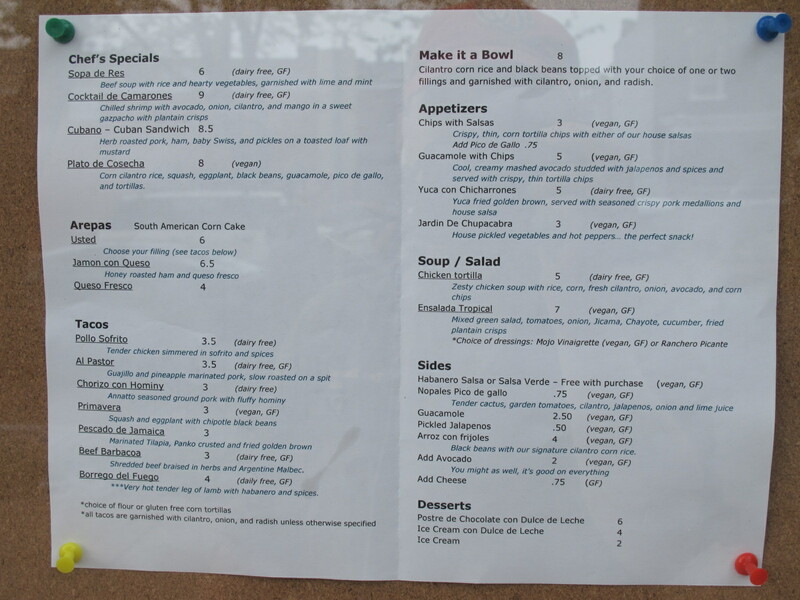 Enjoy it in our modest interior seating, expansive awning-covered sidewalk café, or delivered to you at home or work. Breakfast service will start soon. Menu and a look inside after the jump.